When it comes to designing a custom home, the planning stage is make or break. Implementing a proper plan is necessary to ensure that everything runs smoothly. You must also be sure that you’re in a position to create a home dreams are made of. By following the tips below, you’ll be one step closer to creating a home you’ll be proud to call your own. Plan for future inevitabilities that will ultimately influence how you design your rooms. You’ll need to accomodate the needs of those close to you, whether it’s children returning from college, or parents entering their golden years. For example, if you’re thinking of converting a room into a gym, think again if you think your kids will be back in the equation soon. Also, think ahead to the likelihood of your own life transforming in the coming years. You can’t afford to be shortsighted, because your home will have to meet your needs for years to come. You’ll be rewarded for using careful foresight, especially if your socioeconomic status changes. Simplicity is often overlooked, but it is mandatory in the design stages. Making things difficult on yourself will cause stress, and make the design process more complicated than it needs to be. People rely heavily on technology, but sometimes using pen and paper is the best approach. This allows you to get ideas flowing in the form of tangible sketches and useful lists. Your design team will appreciate your vision when observed as notes, where they’ll gain an understanding of your thought processes. It also helps to take a simple approach when creating themes in your home. A simple, subtle environment speaks volumes, especially when it comes to maximizing space. If you’re on a stringent budget, it’s important to establish which items are necessary to function. If you overextend your finances, you’ll need to know which items to rule out. By prioritizing what’s most important, you’ll better understand your own needs, which is a crucial stage of the design process For example, if you live in the New York area, and you have always wanted dependable, energy-efficient windows, you might prioritize working with an expert like Pella NJ/NY, over installing a swimming pool. Once you’ve achieved your priorities, you can determine whether you have money left over for other desirable items. For instance, if you can afford that swimming pool, you can research and find a swimming pool contractor in New Jersey. During the brainstorming process, you’ll need to consider how everything works together. 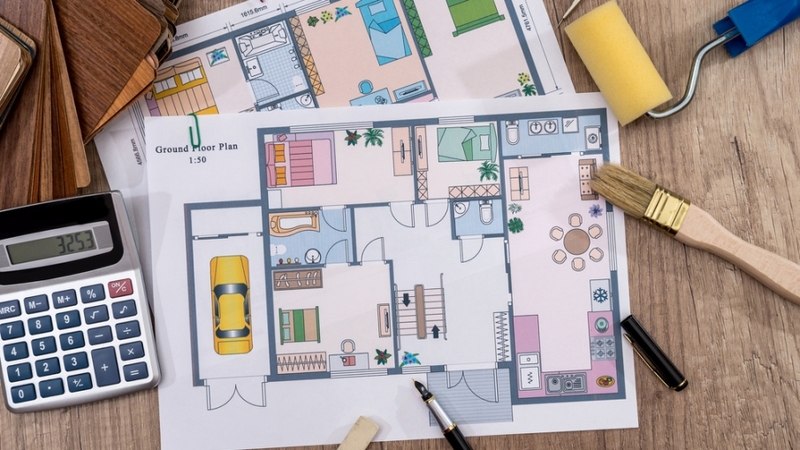 Though you’ll probably have to wait until construction begins to see how everything takes place, your original design should be one in which every room complements the others. For example, consider creating distance between noisy rooms and areas that need to be quiet. That way, noise levels won’t become a nuisance. The potential of your home has a lot to do with the plot of land on which it’s located. If your home overlooks a stunning landscape, it makes sense to position the front room so that it faces that way. This will create a stunning view, while ensuring that the maximum amount of light enters. There are decisions that can maximize the best features of your lot and help you create a home that perfectly aligns with your environment.